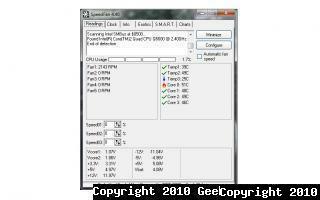 SpeedFan is a program that monitors voltages, fan speeds and temperatures in computers with hardware monitor chips. It can also access S.M.A.R.T. 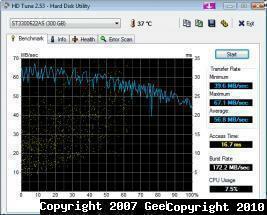 info and show hard disk temperatures.